Liz McCall has come to love running her father’s vintage toyshop back home in East Aurora, New York, so when the Train and Toy Show comes to town, she’s all aboard for a fun toy-filled weekend. The only hitch is that her childhood bully Craig McFadden, now a local business rival, has set up a booth next to hers. But the fun and games are over when Craig falls from the ceiling in a publicity stunt gone wrong. Managing a small-town shop wasn’t Liz McCall’s initial dream, but she’s come to love working with her father and her sister-in-law selling toys at Well Played, their vintage and antique toyshop in East Aurora, New York, even if the dolls freak her out a little bit, especially the old ceramic ones, with the cracked faces and those cold, lifeless eyes. But she loves the game nights she hosts at the shop. If only she didn’t have to spend half of her time chasing down her father, who’s reluctant to give up his former career as the town’s chief of police. Liz, how did you first meet Barbara? I first met Barbara Early when she was wandering around East Aurora. She thought the town was the “perfect cozy town,” (whatever that means! ), and was looking for something she called a “hook.” I guess she was very excited to learn that the town was often called Toy Town, because of its long history of toy manufacturing. Fisher-Price is still here. That sent her right from the Chamber of Commerce to the toyshop. She was even more excited when she realized we sold vintage toys, because they inspire such a sense of nostalgia among so many. See, not many people collect toys, but almost everyone of a . . . certain age . . . has owned what would now be a vintage toy collection. She spent hours scrounging around the shop and asking questions. I, for one, would rather not stumble over dead bodies. If I could change anything, I’d take out the killers and the victims and let everyone live happily ever after. I doubt the author would continue to write about us then! I might also take out the part where she writes how badly I was fangirling sci-fi icon Lexi Wolf. I can’t say that part wasn’t true, but . . .
Do have any secret aspirations Barbara doesn’t know about? I’m not sure Dad even knows this, but at one point I briefly considered becoming a cop, like my father. The work he did interests me, but the danger, long hours, and what it did to my family eventually dissuaded me. I can’t say I have any regrets. Well, at least not many. I’d be playing board games. I’m a self-proclaimed board game junkie, and I love all types. I shouldn’t say this, since we sell mostly old games, but I’m quite fond of some of the new cooperative games like Pandemic, and some of the complex German games. The worst thing that ever happened to me was when my father was shot in the line of duty. He almost died! Even then, doctors weren’t sure if he’d have lasting brain damage. Fortunately, that didn’t turn out to be the case—even though he seems to have selective amnesia that acts up only when it suits him. Like when he “forgets” he’s not still a cop. I learned then that I wanted to be there to protect my father. I’m learning now, that I can’t always do that. But that’s going to take some time. Besides my father, I’d have to say my sister-in-law Cathy is my best friend. 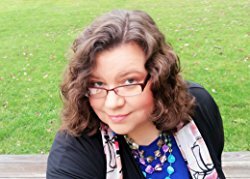 She’s just a tad flightly, but I guess that’s because she’s a writer, an aspiring poet specifically, but she’s also working on a novel inspired by something that happened in our shop last year. (See Death of a Toy Soldier.) She’s an awful cook, but she’s great for my brother Parker. If we’re talking the grand scheme of things, losing my father. Mother passed years back. She and I weren’t all that close. This might sound ungracious, but my mother was only close to her bottle, and family life was tough for a lot of years. But Dad is my rock, and I can’t imagine losing him. So when he goes out and puts himself in harm’s way . . . If we’re talking phobias, there’s that whole doll thing. But Cathy runs the doll room so I don’t have to do much with them, except maybe cash one out, every now and then. I’m happy with my life. If I could use any help at all, it would probably be in the romance department. It seems the powers that be are really stingy when they send men into my life. And when they finally do, they come two at a time. Ugh. But I’ve seen bad relationships, and I’m in no hurry to advance a relationship until I know for sure. How does anyone know for sure? East Aurora is real town, well, technically a village, in what is known as the snowbelt, South of Buffalo, New York, so it’s gorgeous, especially at Christmastime. Main Street is everything you’d want a small-town Main Street to be, with a brick road (shhh…it’s fake! ), small mom-and pop shops with bright awnings, and restaurants with outdoor seating areas spilling onto the sidewalks. There’s a huge, quirky five-and-dime that tourists come from all over to see. Like I said, it’s often called Toy Town, but it also is known as the home of the arts and crafts movement, and Millard Fillmore once lived there. Oh, and some of the ghost hunters think he’s still there." On an average day in my life—at least when there are no dead bodies involved—I’d check in on the shop first. I put in a lot of hours there. But when Cathy or Dad or Miles are working, I might hit a few estate sales or garage sales, depending on the time of year, to find new inventory for the store. Many evenings, we host game nights, and we have a lot of regulars who join us for that. Will you encourage Barbara to write a sequel? 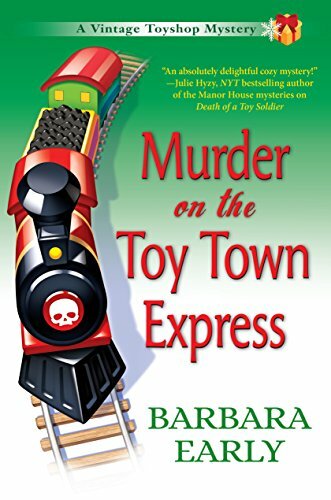 Murder on the Toy Town Express is actually the second in the series, after Death of a Toy Soldier, and there’s at least one more planned for next year. Although that’s probably going to mean someone else is going to die . . .